As a Dental Sleep Practitioner, I have worked with different types of sleep appliances in which I continuously had to titrate and make adjustments to suit all of my patients’ comfort needs. Over the years, the time taken to constantly make adjustments took up tremendous chair time and resulted in patient frustrations. 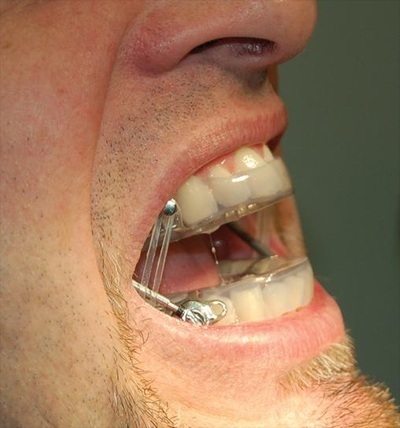 Since my practice transitioned into using the SUAD™ appliance, I have been impressed with the superior craftsmanship and unbelievable fit in which my patients find to be comfortable. On numerous instances, the SUAD™ does not require any adjustments at delivery and I have been baffled after seeing effective therapy results in which patients’ AHI levels have reduced to below 10, and in many cases below 5. Patrick and the staff at Strong Dental are very knowledgeable about their unbelievable product quality and their customer service is just as exceptional. They are great resources to work with and I strongly believe that you will see the same results as I have by using the SUAD™ appliance. 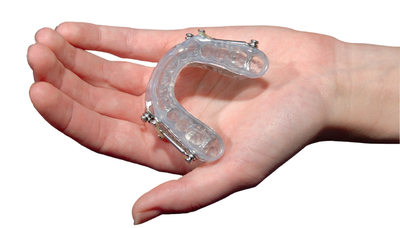 Using the SUAD™ will change the way you practice Dental Sleep Medicine. Thank you Patrick and the staff at Strong Dental for all that you have done for my practice. "There are many factors that go into choosing an appliance for a client. Experience of the clinician, patient needs and wants, comfort, durability, guarantee, anatomical structure of the oral environment, lab availability and their ease of insertion and the list goes on. The SUAD™ addresses many of these needs. 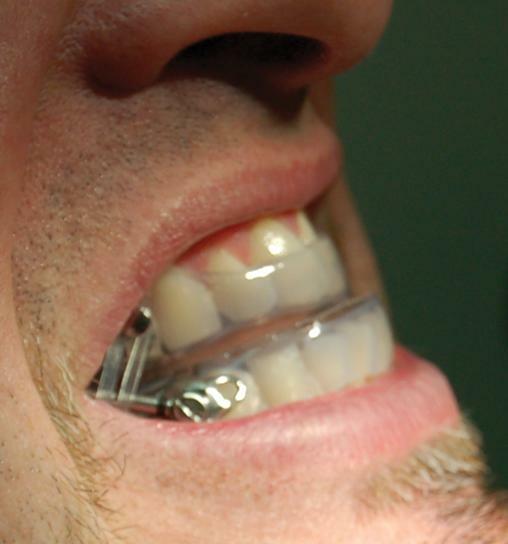 It is comfortable, it has a five-year guarantee, in addition to being an outstanding lab to work with; they will make an appliance for the dentists to try themselves. That is what I did and that is one of the many factors that sold me. From the patient's point of view, I think it is important that they know there are several appliances I use depending on circumstances and needs. The reason I say this is it is important for the patient to know they have a choice and they are not being 'sold a bill of goods'. They know that when I recommend a SUAD™ that I truly believe it is the appliance of choice for this particular patient. This really helps to create a positive direction. Even though Strong made the appliance I am the interface between the patient and the appliance. This is where working with a great lab comes in to play. Patrick Strong has bent over backwards to make sure that each appliance is the best it can be which makes both of us look good. He does all the work and I get all the credit! I think that Strong Dental is a wonderful lab, has a great appliance, and they stand behind their work." “After years of unsuccessful attempts at using the CPAP machine, I recently got fitted for The SUAD™ Device. It has changed my life!!! I find it unbelievable when my husband tells me that I did not snore at all, thanks to this device. It makes so much sense, since that’s what is done to open the airway during CPR. You are a genius! It has been about 8 years since I’ve slept through the night. I forgot how nice it was to sleep through the night without seeing every hour on the clock. It’s so strange to go to sleep at night and wake up only one time to daylight. Where did the hours go? I feel alive again. I don’t wake up in a “fog”. I can think straight from the minute I wake up. I had no idea what the impact of sleep deprivation was until the deprivation was corrected with The SUAD™ Device. I have the energy to get through the day now. No more mid-day naps for me! Thank you SUAD™! You changed my life, you saved my life! I wish more people knew about this product. I wish my doctors had told me about this years ago. People don’t realize the far reaching effects of sleep deprivation, most importantly cell regeneration during the deep sleep stage and how it affects the heart and the multitude of ways it contribute to weight gain. I used to wake up feeling like I’d run a marathon in my sleep, face all swollen and puffy, exhausted, dazed and confused, just counting the minutes until my mid-day nap. Not anymore. I have spread the word about the SUAD™ to all of my friends, many of whom have sleep apnea, some use the CPAP or have tried the CPAP but haven’t adjusted to the “reverse vacuum” contraption that needs its own suitcase to travel.